All the old school raptor addicts will be interested to hear Kazzmir (Jon Rafkind) a free software devotee developer has created a small game resembling many aspects of the original Raptor arcade game. 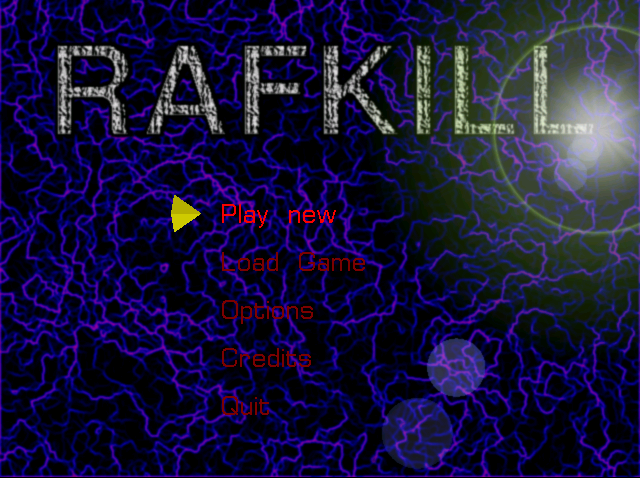 The game is called Rafkill and is aimed to be a sort of Raptor like fork/clone. 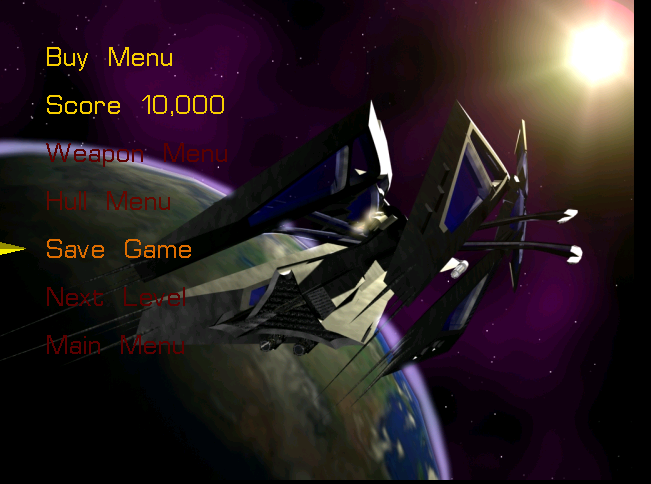 Originally the game was also named Raptor like the DOS game, however in year 2006 it was changed to current Rafkill in order to avoid legal issues with Apogee's Raptor. The game is not anymore in active development, the latest Rafkill release is from January 2007, anyhow even for the 2012 it is pretty entertaining. 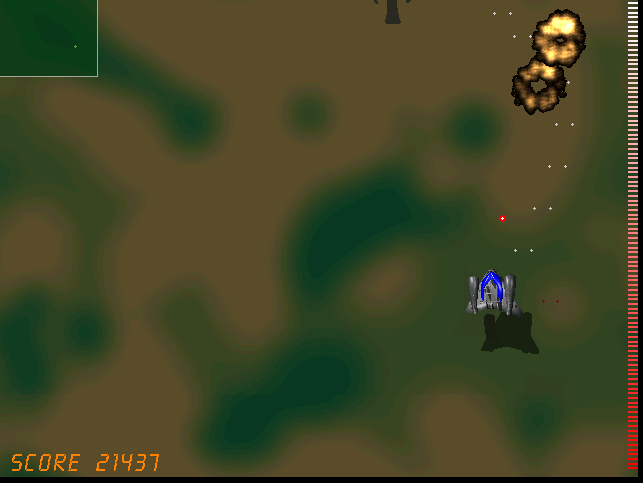 The sound and music are on a good level for a Linux / BSD shoot'em'up free software game . The graphics are not of a top quality and are too childish, but this is normal, since the game is just one man masterpiece. Rafkill is developed in C/C++ programming language, the game music engine it uses is called DUMB (Dynamic Universal Bibliotheque). By the way DUMB library is used for music engine in many Linux arcade games. DUMB allows the Linux game developer to develop his game and play a music files within different game levels in "tracked" formats like mod, s3m, xm etc. 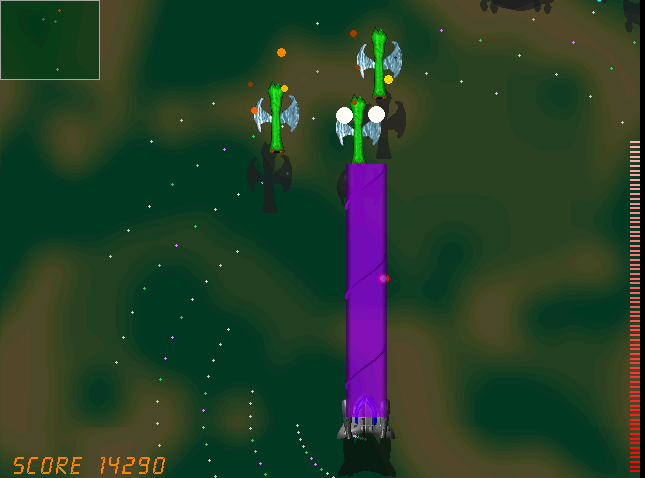 The game is available in compiled form for almost all existent GNU/Linux distributions, as well as one can easily port it as it is open source. Just to explain for all the GNOME noobs, the .desktop files are a description file GNOME reads in order to understand where exactly to place certain application in the (Gnome Applications, Places, System …) menu panel. Starting the game I got some really ugly choppy music / sound issues. My guess was the fizzling sounds were caused by some bug with the sound portions streamed through pulseaudio sound system. This way the game was counting on ALSA to process sound en the sound was playing perfectly fine. I solved this problem through small wrapper shell script. The script did kill pulseaudio before launching rafkill and that way solve gchoppy sound issues, once the game execution is over the script starts pulseaudio again in order to prevent all other applications working with pulseaudio. Interesting in Ubuntu Linux, rafkill music is okay and I suppose the bug is also solved in newer Linux distributions based on Ubuntu. Probably the Debian Squeeze pulseaudio (0.9.21-4) package version has a bug or smth..
After the change the game music will be playing fine and the game experience is cooler. The game is hard to play. Its really nice the game has game Saves, so once you die you don't have to start from level 1. I've seen rafkill rolling around on freebsd.org ftps under the ubuntu packages pool, which means rafkill could probably be played easily on FreeBSD and other BSDs. If you have to use Skype as a mean to call your employers and you do some important talks related work via Skype it might be a good idea to keep a voice logs of Skype peer to peer calls or the conferent ones. I’m using a 64 bit release of Debian, so first I tried installing the only available version for Debian which is natively prepared to run on a i386 Debian, however I hoped it will run out as I have emulation support for i386 applications. However installing the debian i386 version of skyp-call-recorder seemed to not be starting due to problems with missing /usr/lib/libmp3lame.so.0 and /usr/lib/libaudid3tag.so libraries. Thus I decided to give a try to the skype-call-recorder amd65 version which is natively aimed to be installed on Ubuntu release 8/9. Installation of skype-call-recorder with this package went smoothly on Debian, the only issue I had with it is that I couldn’t easily find/launch the program via Gnome Application menu. The only thing I dislike about Skype Call Recorder is that the program current interface is build based on QT KDE library and thus when I launch it, the program launches a number of KDE related daemones like DCOP which eat my system an extra memory, still I’m happy even though the bit high load I can record the skype voice sessions on my Debian GNU/Linux.